I recently attended a Blockchain event, sponsored by Blockchain Driven with guest speakers Lillain Ruiz (Civil), Tyler Gold (Vice Media), Karen Bhatia (NYCEDC), Maggie Hsu (Air Swap). It was an extremely eye opening event focusing on the benefits of Blockchain and how, if widely adopted, it has the potential to completely change the world we live in. However, this new Blockchain world does not come without some major social and economic uncertainties. Blockchain’s core value is that it enables a decentralised system for people to make a secured transaction without cost. Essentially, this means a distributed database which is directly shared without a central administrator. Imagine a giant global spreadsheet that runs on millions of computers. It can recall any structured information, not just who paid who but who married who or who owns what land. Imagine if the contents of that database are stored in the memory / disk of a computer system run by a third party, even if it is a trusted organization like banks and governments. Anyone who managed to get access to that system could easily corrupt the data within. With blockchains, the advantage is that we can replace these third-party organizations with a distributed database, locked down by clever cryptography. With Blockchain the possibilities are amazing and endless. For example, it has the ability to completely change the U.S. Electoral system by making it easier to vote and allow for a more secure trusted voting system that you can track. We will be able to create smart cities regarding energy use/efficiency (once we make the grid more sophisticated) and increase automation and efficiency of many things. Additionally, Blockchain allows the ability to trade cryptocurrency. Blockchain essentially means you can tokenize anything and trade it. At the point where we could trade energy, it would make a significant difference to the amount we use renewable energy sources and, therefore, positively impact the preservation of our planet. Loss of Industries – If Blockchain were to be fully adopted by the public, it could change society as we know it as dramatically as the internet did. A huge amount of unskilled jobs could be lost. For example, 60% of the NYC police force has an element of their job related to traffic related matters. If we created smart cities with autonomous driving it could potentially lead to a loss of jobs for the NYPD – not to mention taxi drivers, lorry drivers etc, and this is just one example. What will happen to these skilled workers? Is there a plan for them? Other industries will also be affected, such as the financial industry, where Blockchain could cause a huge disruption and transformation. However, in contrast, Blockchain offers huge amount of opportunity for industries such as the music industry. Where currently musicians and music creators often miss out on financial rewards, which are consumed by the large labels, with Blockchain, musicians could upload their songs to the blockchain and charge for it to be used or listened to via a smart contract which pays them. The other major threat is the Security. If everyone adopted the Blockchain, what could happen if someone eventually managed to break the code? Everyone in the world’s data and information could be accessed and taken. For me, this is arguably the biggest uncertainty. If history has taught us anything, there are a lot of evil geniuses out there wanting to cause monumental damage. I think the security aspect will need to be addressed further before the general public will adopt it. Regulation & Governance. Unlike the Internet, which has a sophisticated governance ecosystem, the whole world of blockchain and digital currencies is the Wild West. 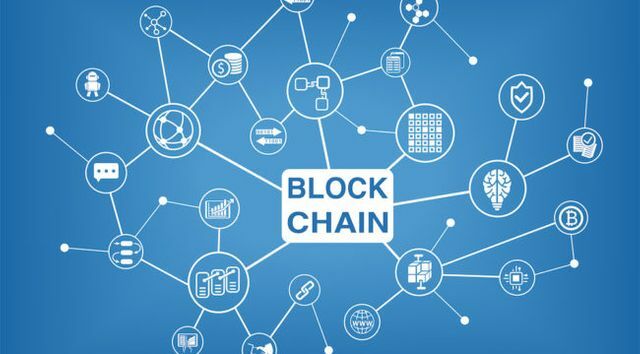 Blockchain faces a hurdle in wide spread adoption from pre-existing financial institutions if the government regulation status remains unsettled. The big question in my mind is, does Blockchain in today’s world have the same feel about it as the Internet in the 90’s & will Blockchain eventually be as widely adopted?